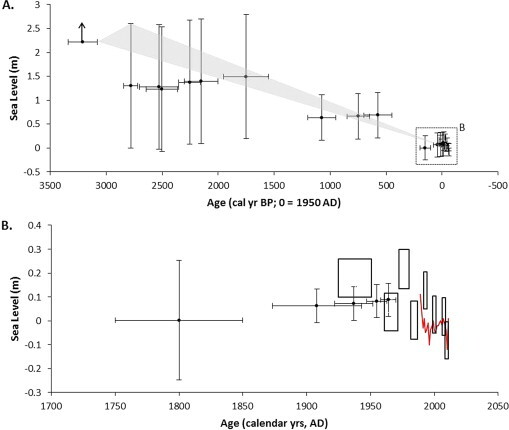 A paper published today in Quaternary Science Reviews finds the relative sea level in NW Norway has continuously declined over the past 3,300 years. According to the authors, "Relative sea-level fell at −0.7 to −0.9 mm per year [~3.1 inches per century] over the past 3300 years in NW Norway." 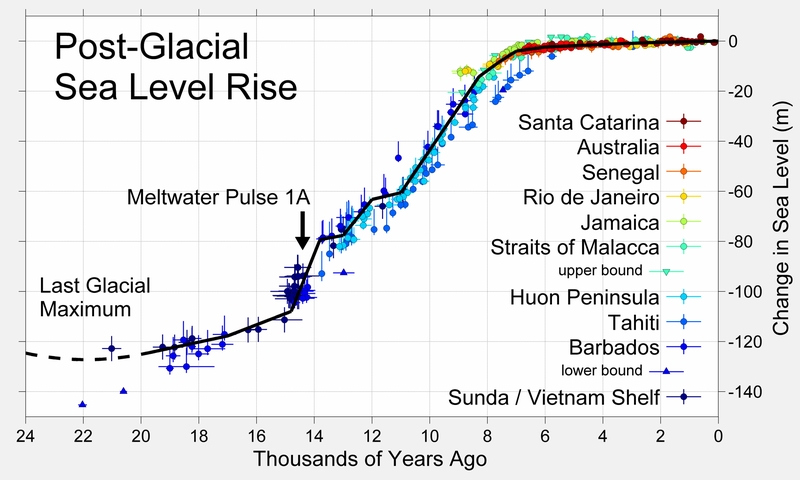 Contrary to popular belief, global sea levels have been naturally rising for ~20,000 years and have decelerated over the past 8,000 years, decelerated over the 20th century, decelerated 31% since 2002 and decelerated 44% since 2004 to less than 7 inches per century. There is no evidence of an acceleration of sea level rise, and therefore no evidence of any effect of mankind on sea levels. Sea level rise is primarily a local phenomenon related to land subsidence, not CO2 levels, as well demonstrated by this new paper finding a continuous decline of sea levels in NW Norway over the past 3,300 years. First precise late Holocene sea-level reconstruction for the Vesterålen Islands. First applied salt-marsh testate amoebae relative sea-level reconstruction. Foraminifera constrain the late Holocene sea-level trend. Relative sea-level fell at −0.7 to −0.9 mm yr−1 over the past 3300 years in NW Norway. Existing GIA models can be improved upon by using precise sea-level index points. Relative sea-level data from the pre-industrial era are required for validating geophysical models of glacio-isostatic adjustment as well as for testing models used to make sea-level predictions based on future climate change scenarios. We present the first late Holocene (past ∼3300 years) relative sea-level reconstruction for northwestern Norway based on investigations in South Hinnøya in the Vesterålen – Lofoton archipelago. 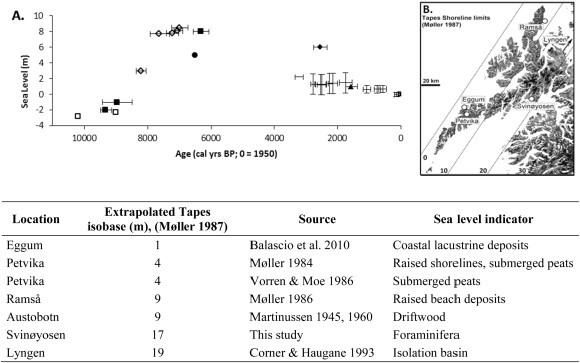 Sea-level changes are reconstructed from analyses of salt-marsh and estuarine sediments and the micro-organisms (foraminifera and testate amoebae) preserved within. The ‘indicative meaning’ of the microfauna is established from their modern distributions. Records are dated by radiocarbon, 201Pb, 137Cs and chemostratigraphical analyses. Our results show a continuous relative sea-level decline of 0.7–0.9 mm yr−1for South Hinnøya during the late Holocene. The reconstruction extends the relative sea-level trend recorded by local tide gauge data which is only available for the past ∼25 years. Our reconstruction demonstrates that existing models of shoreline elevations and GIA overpredict sea-level positions during the late Holocene. We suggest that models might be adjusted in order to reconcile modelled and reconstructed sea-level changes and ultimately improve understanding of GIA in Fennoscandia.